Entrepreneurship in the Healthcare sector has received increased attention over the last two decades, both in terms of scholarly research and number of innovative enterprises. Entrepreneurial activities and innovations have emerged from and will continue to be driven by several actors along the healthcare value chain but especially from non-traditional healthcare players. 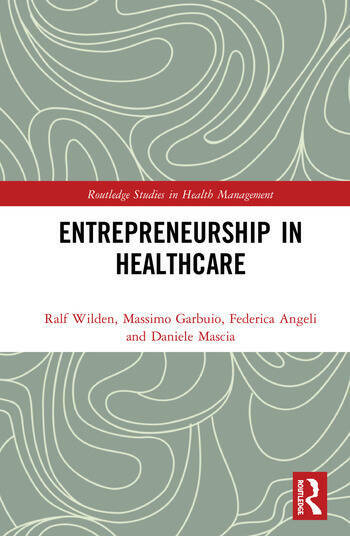 In this new volume, we present the reader with several critical issues in healthcare entrepreneurship and innovation, covering a comprehensive set of research topics. We bring together the latest academic research and management practice, with contributions by authors from entrepreneurship, medical sciences, and management, who provide in depth and practical insights into designing and managing entrepreneurship in healthcare. Upon providing a systematic review of the research field, we discuss several important macro-, meso-, and micro-level issues in healthcare entrepreneurship, such as opportunity identification, the entrepreneurial ecosystem including accelerators, the benefits of open innovation for the sector, and social entrepreneurship in healthcare. These topics open up avenues for nurturing entrepreneurship in healthcare through both education and policy. Building on this trend, the book is organized around levels of analysis and specifies which cross-disciplinary efforts are needed to advance understanding of how entrepreneurs discover opportunities and start viable and innovative businesses. Healthcare Entrepreneurship will be of interest scholars of health care and entrepreneurs alike, but also managers of innovative health care enterprises as well as policy makers in the health sector. Dr Ralf Wilden is an Associate Professor at Macquarie University in Sydney, Australia and former Director of the Newcastle Business School, Sydney. Dr Massimo Garbuio is a Senior Lecturer at the University of Sydney Business School. Federica Angeli is Associate Professor at the School of Social and Behavioral Sciences at Tilburg University, the Netherlands. Daniele Mascia is Associate Professor of Management and Organizations at the University of Bologna.